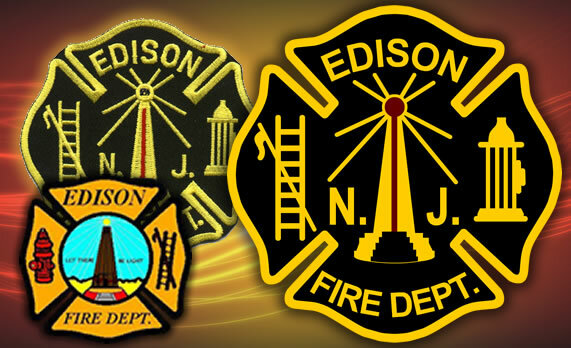 The Edison Fire Department was in need of a new clear line art rendering of their logo. They provided me with an old, outdated and pixelated graphic as seen lower left, and behind it is a scan of one of their embroidered patches. As is usually the case, they did not have the original artwork that was used to manufacture the patches, as most traditional suppliers kept the designs in house. I provided them with the graphic on the right which is print media ready, and can be used by them for their letterhead, forms, business cards, and electronic publishing. Crisp clear vectorized artwork that does not pixelate at higher resolutions.